Auditory Sculpture is a one man electronic project from Portland, Oregon musician Keith Schreiner, who is also one half of Dahlia. The 2-CD Merge is the follow-up to last year's That Might Be You But This Is Me (reviewed in AI #16). Ambient, Drum 'n Bass, electro dance beats, and loads of cosmic space are the order of the day throughout this set. Schreiner does an excellent job of seducing the listener with the sounds of old (e.g., Tangerine Dream, Ash Ra Tempel), while actually dominating the music with more modern electronic sounds. Musically this is similar to the first album but there seems to be much more happening with the music on Merge, in which Schreiner has layered on multiple electronic patterns that contrast but compliment each other nicely. Disc 2 (ME) is a bit different, being a more purely meditative set of music. Mood and atmosphere is the focus and I'd caution against listening to this in the car as the effect is hypnotic. Most of the tracks had a similar effect on me, but there were some standouts. Much of this would make an excellent basis for film soundtrack music. "Who Knows" is a highlight being similar to "Shards Of Glass", having that distinct Dahlia sound, but it's trippier and more ethereal. "Deptank" includes real percussion. Congas... tablas... something like that. It's a nice touch. "A Lonely Day", "Atmosphere 1.42", and "Missile Silo" are probably the best space electronic tracks on either CD and will delight fans of the old Tangerine Dream and Klaus Schulze albums. The final track clocks in at over 37 minutes, but I wasn't going to be taken in. After 2 minutes of music it goes dead until the last minute which is filled with crazed electronic patterns that would have made a great track themselves. On the first few listens I thought the ME disc was the stronger of the two because I liked the more purely spaced Tangerine Dreamy aspects of the music. But once I gave it the more considered headphones listen I'm definitely more taken with the REG disc. Lots more happening and more to discover with subsequent listens. If ME is the soundtrack to the film, then REG is the plot and details. Recommended to all fans of adventurous electronic space journeys. 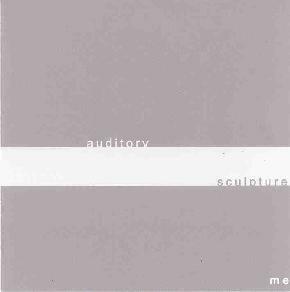 For more information you can visit the Auditory Sculpture web site at: http://www.auditorysculpture.com/.